Following last week’s Justice Department decision to join a group of Asian-Americans in a civil rights lawsuit against Harvard University the online newspaper Vox rushed to post an article from an Asian-American, Alvin Chang, who seems to enjoy getting the short end of the stick. Thus writes Benny Huang, who (as his name implies) has Asian connections himself. Chang’s point, if you can call it that, is that only really bad people see affirmative action as harmful. He recounts an episode during an SAT prep class in which he first encountered resentment among Asian-Americans toward discriminatory affirmative action policy. Well he should have heard affirmative action described that way because that’s exactly what it is. The other fellow in his prep course was obviously a whole lot more world-wise than Chang and yet we’re supposed to see him as borderline racist. Perhaps that’s because it isn’t necessary. It’s merely desired, mostly by a group of people who don’t believe blacks and Hispanics can make the grade without being afforded a substantial handicap. And maybe those people have a point. Studies have indicated that whenever affirmative action programs are deep-sixed, minority enrollment drops. This is absurdly intuitive. When the admissions department stops putting its thumb on the scale for a certain race, the proportion of that race in future freshman classes will be lower. Duh. The Michigan public university system offers a good example. Following that state’s 2006 constitutional amendment which prohibited racial discrimination (“affirmative action”), minority enrollment dropped by about 30%. To affirmative action defenders the sharp decline is proof that continued discrimination against whites and Asians is “needed.” To the rest of us it’s proof that 30% of the minority students on campus were affirmative action babies who were taking someone else’s seat. But that’s the “pernicious” way of looking at it. It also happens to be true. Chang’s article struggles and ultimately fails to explain why affirmative action should not be understood as a system of bonuses and penalties distributed along color lines. Instead it makes the case that Asians are being manipulated by whites, as if Asians wouldn’t and shouldn’t be upset about a system that requires them to perform substantially better than other races to gain admission to the same schools. In this regard, Chang reminds me of the white southerners of yesteryear who insisted that “their negroes” were content until a bunch of “outside agitators” descended to stir up resentment in the black community. Asians would apparently be thrilled to be punished for their skin color if it weren’t for those outside agitators. Blame them [shouldn't they be called deplorables? ], not the discrimination, for Asian discontent. … The question is why Asians-Americans have become the face of the [lawsuit against Harvard]. Perhaps it’s because the penalty for being born Asian is stiffer than for being born white. Another possible explanation is that white people in our society aren’t allowed to complain about anything—not about legally codified discrimination, or being assaulted, or being cursed out by a mob while studying at the library. White plaintiffs have traditionally failed in court to make the government live up to its own nondiscrimination statutes which unambiguously prohibit racial discrimination. The fourteenth amendment bans the practice at public universities and the Civil Rights Act of 1964—that law that everyone claims to adore but no one actually follows—bans it at all universities that accept federal money. And yet white plaintiffs have not traditionally prevailed in cases that they should have won. … Which has forced whites to come up with clever ways of pushing back against policies that deliberately screw them over. Rather than saying that they oppose affirmative action because it harms them and their children economically, whites claim to oppose it because it harms Asians and their children economically. That’s true of course, but it sounds disingenuous. Another approach is to argue that affirmative action actually hurts black Americans. … Then there’s the social stigma of affirmative action. This one addresses what happens after black and Hispanic students graduate and venture out into the job market. Many report that the value of their diplomas has been degraded because potential employers believe that they received preferential treatment on account of their race. This reaction is entirely rational because black and Hispanic applicants do receive preferential treatment because of their race. And perhaps it doesn’t end there. Sympathetic professors might have been rooting for minority students to succeed, going so far as to fudge their grades in the same way that they do for athletes. There’s no disputing that the bent of most colleges is toward boosting blacks and Hispanics, which makes employers justifiably skeptical about their credentials. The liberals’ solution to this problem is pretty straightforward. Any employer who believes that the bar has been lowered for black and Hispanic applicants—even if it really has been lowered—should be relentlessly pilloried and sued into oblivion. My solution is a little more subtle: we ought to end the perception of special treatment by ending the reality of special treatment. The Atlantic just let us know. It’s beards. Apparently beards have a “racially fraught history,” or something. 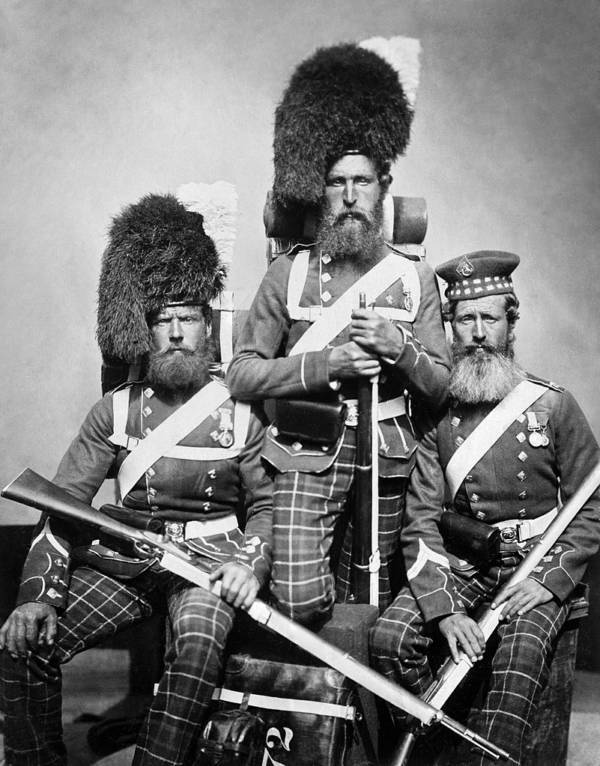 Think about it: in the American Revolution, in the Napoleonic wars, in the entire first part of the 19th century, beards seem to be rare in the Western world (Europe and North America), certainly in polite society, if not inexistent. The Founding Fathers, American presidents, and generals, kings, emperors, and armies of all nations — all, or the vast majority of them, without facial hair. In the second part of the 19th century, whiskers (whether beards or mustaches) are ubiquitous. In the 50 years between Abraham Lincoln and Woodrow Wilson, the only elected president not to have whiskers would be William McKinley (elected 1896, four years before the turn of the century and a full third of a century after the Civil War). The "modern" propensity for beards in America, and in the West, actually predates Honest Abe and the Civil War (1861-1865), although by less than a decade. It started with the Brits, during their experiences in the Crimean War (1853-1856) next to their (dark-skinned) Ottoman allies. 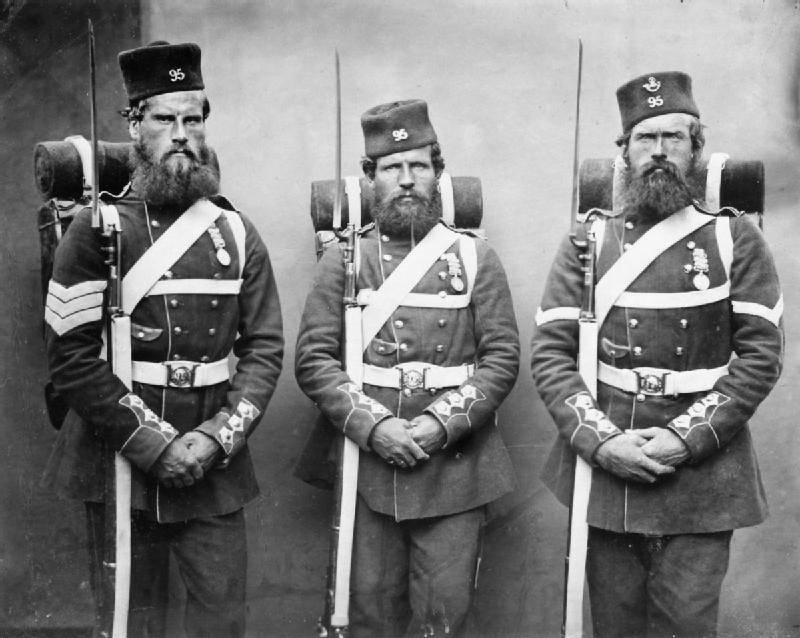 Seeing the splendid Turks with their colorful uniforms and their magnificent beards, the British, both in the military and in civilian life, started the "fashion" of letting their whiskers grow in the mid-1850s, and it spread across the Atlantic. As it happens, Americans also took to the fashion of the French units in North Africa, resulting in several Zouave units in both armies during the War Between the States. René Bousquet … qui concentre entre ses mains la quasi-totalité de la machine policière, veut montrer aux Allemands que son administration peut être moderne et efficace. Il inaugure des écoles où sont enseignées l'identification d'un suspect de face ou de profil, les filatures, les planques... Il augmente aussi les recrutements. La police attire de nombreux chômeurs mais aussi, à partir de février 1943, tous ceux qui souhaitent éviter le STO puisque cette administration offre une dispense automatique aux personnes qui la rejoignent. Au plus fort de la collaboration, les effectifs atteignent 120 000 hommes. Du jamais vu. Dans le même temps, on compte moins de 3000 policiers allemands sur le territoire. Mais c'est dans la mise en œuvre de la politique anti-juive que la police française va se montrer la plus redoutable. La machine infernale se met en branle en mai 1941. Par rapport à d’autres villes, la capitale est sortie quasi intacte des combats de la Libération. Pourtant, elle aurait pu payer cher sa fronde contre l’occupant. Décryptage. "Paris est à transformer en un monceau de ruines. Le général doit défendre la ville jusqu’au dernier homme et périra s’il le faut sous les décombres." Pourquoi alors la capitale fut-elle épargnée ? L’explication réside d’abord chez von Choltitz lui-même, qui n’appliqua pas les ordres de son Führer. Non pas que l’homme soit porté à la mansuétude. Mais le général ne voyait pas la logique d’une telle destruction. La bataille de Normandie était perdue, les troupes allemandes se repliaient, les maigres contingents stationnés dans Paris évacuaient la ville. Ravager la capitale aurait été coûteux en vies humaines – y compris allemandes –, inutile d’un point de vue militaire et gênant pour la circulation des soldats du Reich se repliant depuis la Normandie. D’autres facteurs ont pu dissuader le haut-gradé allemand de passer à l’acte. Les pressions extérieures, d’abord. Celles du consul de Suède Raoul Nordling, intermédiaire clé entre von Choltitz et la Résistance, … aida à limiter la tension et les combats entre Allemands et résistants. "Francophile, de mère française et de père suédois, il avait à cœur de préserver la capitale, note Christine Levisse-Touzé, historienne et directrice du Mémorial du maréchal Leclerc à Paris. Il défendait aussi ses intérêts, puisqu’il possédait des parts dans l’entreprise de roulement à billes SKF en région parisienne – entreprise qui, par ailleurs, fournissait le Reich. Reste maintenant à remporter la plus symbolique des victoires : Paris. Le 23 août 1944, la compagnie se met en route avec l’ensemble de la 2e DB. Les ordres de de Gaulle sont clairs : la première unité qui entre dans Paris doit être française. Mais Leclerc piétine en banlieue sud. A la fin de la journée du 24, devant la difficulté de vaincre la résistance allemande, et craignant que les forces américaines ne les devancent, il ordonne à [Raymond Dronne] de pénétrer dans la capitale, avec seulement quelques blindés. Le souhait de de Gaulle est exaucé : la section qui tire les premiers coups de feu sur la place de l’Hôtel de Ville est bien française. Mais son lieutenant s’appelle Amado Granell, ex-capitaine anarchiste.